It is just one of the programs transforming the lives and opportunities of tens of thousands of people in several African countries since Steidle founded Global Grassroots. The organization has catalyzed more than 650 women and girls to become leaders of conscious social change in their communities, mostly in Rwanda and Uganda. They have started 130 ventures with goals ranging from fighting violence against women to helping girls stay in school to providing clean, accessible water.“I have always been interested in how ideas spread, and why they often don’t spread as quickly as they’re needed,” said Steidle, who graduated from UVA with a B.A. in foreign affairs in 1996. She went to work for a small firm that financed international projects and earned her M.B.A. at Dartmouth College’s Tuck School of Business in 2001. Having been a Jefferson Scholar at UVA, Steidle said, “The program led me to question, ‘How do I create change?’” She found the values on which the Jefferson Scholars Program is based – citizenship, scholarship and leadership – inspiring and long-lasting. It would take several years and experiences to map the curriculum that would transform the life of Hacimana and her village. Steidle said she had an “Aha!” moment in 2004 after listening to a woman named Zolecka Ntuli. “I was on a research trip to South Africa, part of trying to convince businesses to invest in social entrepreneurship, and I met with a woman in a shack in a township outside Cape Town,”. Steidle realized that, even with limited resources and facing sexual violence, Ntuli was working “creatively and courageously” to deal with the spread of HIV/AIDS. 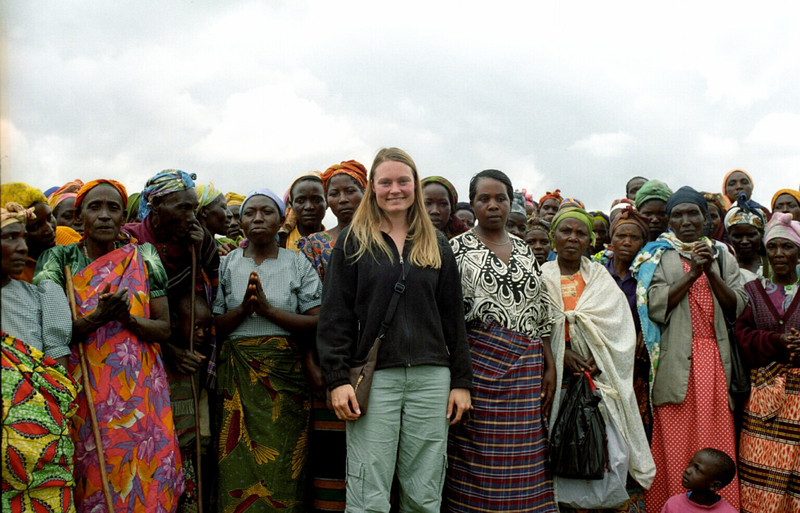 Steidle thought if she could partner with women’s groups like Ntuli’s, working on the local level, and if they had training and resources that would support their ability to advance their own solutions, together they could create global change. Along the way, Steidle had begun her own personal transformation through mindfulness practices such as meditation and yoga, plus a related alternative healing practice called “Integrative Breathwork.” Self-awareness and wellness are critically important, she said. One crucial aspect of Global Grassroots is its leadership and organization training that includes a process of self-transformation through mindfulness techniques, along with a local approach to designing sustainable projects. “Conscious Social Change is the intersection of mindfulness, leadership and social entrepreneurship, whereby individuals may initiate change consciously, compassionately and ethically,” its website explains. “Mindfulness is part of the methodology to understand and diagnose issues, build relationships and design effective solutions,” Steidle said. “It’s woven throughout everything, into how our organization and programs work to stay attuned to changes over time. “I saw so many it could help: besides burnt-out aid workers, there are angry activists, people in non-governmental organizations trying to impose competing agendas, and traumatized communities,” she said. For instance, many of the women and girls in post-conflict areas in Africa have survived sexual exploitation and violence without having ways to heal. A range of organizations are also starting to employ mindfulness techniques among their employees, with many in the international arena realizing that burnout is a problem, she said. Mindfulness practices can deliver physiological benefits by relieving stress and other post-traumatic symptoms, sharpening focus and improving listening skills. Steidle also seeks to head off that problem by taking the program to students and others interested in nonprofit community service work in the U.S. and other developed nations. She has offered a course, “Conscious Social Change,” at UVA for the past four years, mostly through the January term, to teach students how to work mindfully when designing a social venture. The 2017 class, which enrolled 29 and had a waiting list, was offered through the Global Development Studies program, the Department of Religious Studies and the Frank Batten School of Leadership and Public Policy. Like the Global Grassroots programs, the J-Term course integrates the same mindfulness-based leadership practices, social entrepreneurship tools, conscious social change methodologies and contemplative ideas and practices. “What we do in our programs is teach change agents,” Steidle said. Students in her UVA courses, like the women in Africa, come up with the projects and methods they’ll use. 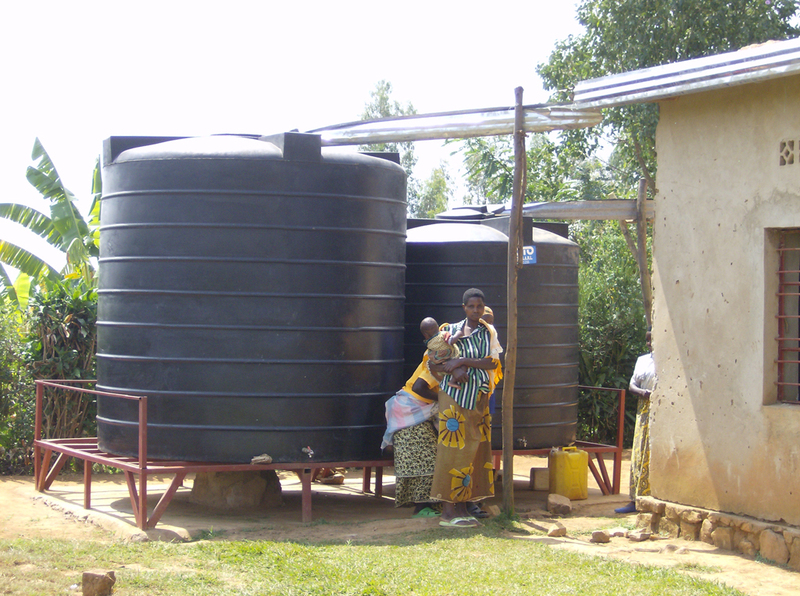 Hacimana and her group, who call themselves “Hard Workers,” completed the Global Grassroots training program 10 years ago and received a small loan to have a tank built near the church in their village that collected rainwater, supplying almost 1,000 people. They charge people who can afford to pay for water and reserve some to give away to the less fortunate, including widows, orphans, the elderly and those with disabilities. The Hard Workers’ enterprise has expanded to several other villages, now providing clean water nearby to about 9,000 people and thereby cutting out a source of water-borne diseases. They have also made enough money to pay for education and health care for those in need. This year, 11 new women-led Global Grassroots teams in Rwanda are in the process of providing safe, clean water access on a permanent, sustainable basis to more than 30,000 people.